Our lucky compatriots at AOL Autos had the chance to get some passenger-seat time in the all-new 2010 Ford Taurus SHO, along with a glimpse into the inner-workings of FoMoCo's engineering team. 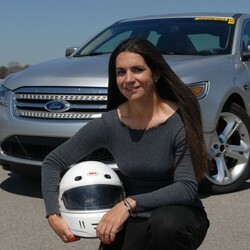 The story centers around Ford's only female Vehicle Dynamics Development Engineer, Christina "Crissy" Rodriguez, who's "equal parts engineer, race driver and vehicle psychologist." During her 12-year stint at Ford, Rodriguez has been instrumental in the development of a number of vehicles and has spent the last eight years tuning the chassis that underpins the new Taurus, along with its platform siblings, the Lincoln MKS and Ford Flex. The final third of the article gets into the performance and dynamics of the SHO, where Rodriguez takes AOL Auto's Rex Roy for a spin around Ford's Dearborn proving grounds. While its not a comprehensive review of the hottest Taurus in over a decade, Roy reports that the six-speed automatic shifts smoothly and quickly, forward momentum is electric, the sonorous sounds from the engine are top-notch and, most telling, "the faster Rodriguez drove, the smaller the Taurus seemed to get..." Sounds like a winning combination so far, and you can read the full "First Ride" here. 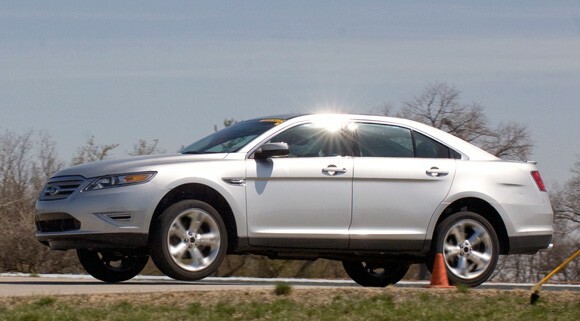 AOL Autos snags ride in 2010 Taurus SHO with Ford's only female dynamics engineer originally appeared on Autoblog on Thu, 30 Apr 2009 20:01:00 EST. Please see our terms for use of feeds. Anything you can do, I can do...also. That seems to be the modus operandi of the Spanish auto industry vis-a-vis the Italians. So while Volkswagen is vying to reshape its Seat subsidiary into an Iberian version of Alfa Romeo, Spanish racing team GTA has been hard at work developing its own supercar to rival the best from Ferrari and Lamborghini. After months of speculation on our part and preparation on theirs, the GTA Spano has finally made its debut in Valencia, the same Mediterranean coastal city that hosts the European Grand Prix. While only limited details were revealed at the Spano's launch, our compadres over at AB Spanish got it covered. Underneath the rather generic supercar body lies the beating heart of the beast: an 8.3-liter V10, purportedly sourced from the Dodge Viper, and tuned to deliver 780 horsepower. That's said to be good enough to propel the carbon, kevlar and titanium supercar to 100 km/h (62 mph) in a don't-blink-or-you'll-miss-it 2.9 seconds. The engine is mated to a choice of seven-speed paddle-shifter, automatic or gated manual transmission, 19" wheels coated in ultra-low-profile rubber grip the road at all fours, and the engine is even designed to burn straight alcohol if so desired. Production will be limited to 99 examples, each available at a price of around $670,000. Given GTA's racing background, a competition version is also expected to be in the works, so stay tuned. In the meantime, check out the images in the gallery below and the details in the press release after the jump. 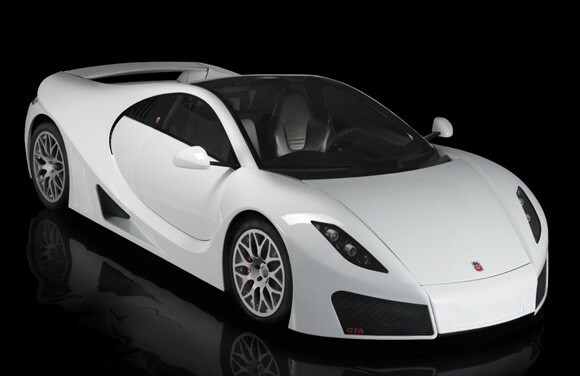 GTA Spano supercar debuts in Valencia originally appeared on Autoblog on Thu, 30 Apr 2009 19:27:00 EST. Please see our terms for use of feeds. Today, President Obama announced during a televised press conference that Chrysler will indeed head into Chapter 11 bankruptcy proceedings almost immediately. After seeing the Group 2 Widebody Challenger at SEMA in 2008, we knew we had to sample the 575-hp muscle car. A call to CDC later and we were behind the wheel for a full review. BMW to debut production hybrid 7 in Frankfurt? Daily U-Turn: What you missed on 4.30.09 originally appeared on Autoblog on Thu, 30 Apr 2009 19:20:00 EST. Please see our terms for use of feeds. If you haven't caught an episode of Autoline After Hours, this is the show to watch. Joining AAH's host and Autoblog contributor John McElroy is Autoextremist's own Peter De Lorenzo and former Chrysler PR man Jason Vines. For an additional bit of flavor, The Truth About Cars' founder and editor, Robert Farago, will join the trio to discuss the week's events, including - but not limited to - Chrysler's bankruptcy filing and the death of Pontiac. With everything that's gone on in the past four days, tonight's show should be an epic meeting of the minds, and the fun begins now. Make the jump to watch the show live, and remember, you can engage in the debate by using the comments embedded into the video player. Autoline After Hours: TTAC's Robert Farago joins McElroy, De Lorenzo and Vines originally appeared on Autoblog on Thu, 30 Apr 2009 18:55:00 EST. Please see our terms for use of feeds. The G-Power crew is constantly striving to produce the most insane BMWs on the planet, combining forced induction with thoroughly revised suspensions and aerodynamics to attain completely unreasonable speeds. It's latest creation, the M6 Hurricane CS, takes the standard set by its M5-based Hurricane RS, and straps a duo of superchargers onto the 5.0-liter V10, boosting the coupe's output to 740 hp and 590 lb-ft of torque. Combined with a remapped ECU and a titanium exhaust, along with carbon fiber seats and a few other tweaks to reduce the curb weight by around 100 pounds, the CS can run to 60 mph in 4.4 seconds, to 124 mph in 9.6 seconds, 187 in 26 seconds and on to a claimed top speed of 230 mph - making it the fastest road-going BMW coupe on Earth. In addition to the twin superchargers and bespoke body-kit, G-Power fitted the CS with carbon ceramic brakes at all four corners, with the front discs measuring in at 380mm and clamped by six-piston calipers. A coil-over suspension with nine adjustable settings joins front and rear anti-roll bars, and for a scant 390,000 euros, it can be yours. All the details can be found in the press release below the fold. The world's fastest BMW coupe? 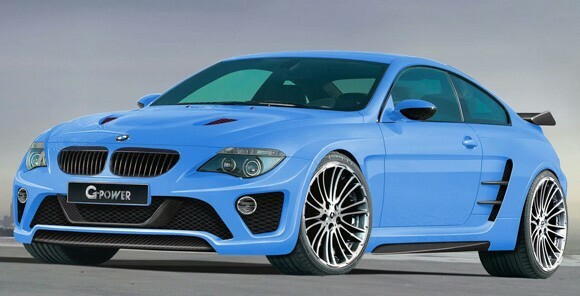 230 mph G-Power M6 Hurricane CS originally appeared on Autoblog on Thu, 30 Apr 2009 18:32:00 EST. Please see our terms for use of feeds. Pontiac fans are undoubtedly going to miss the role-out of new concept cars from the not-long-for-this-world GM division. But for a lucky two, that thrill can be experienced every day on their own driveway as two past Pontiac show cars have popped up on eBay Motors for sale. 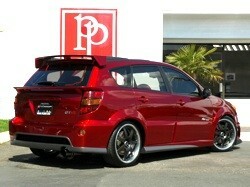 First up is the Pontiac Vibe GT-R that debuted at the 2002 SEMA show in Las Vegas. Boasting a unique Opera Red Metallic paint job, ram-air induction hood scoop, special body-kit, PIAA driving lights, 19-inch rims, custom suspension, Kenwood hi-fi, a full Momo interior... oh, and a 190hp 1.8-liter DOHC four, the Vibe GT-R was created as a rolling showcase of aftermarket possibilities for the Toyota-based tall hatch -- without focusing on the pesky performance end of things. Joining the unique Vibe is the Pontiac G6 GXP show car which debuted at the same show two years later. GM's Performance Division built the show car for SEMA to test public reaction for a performance-oriented G6. Reaction was good, and the car went into production, but the show car maintained a more stunning visual appearance. 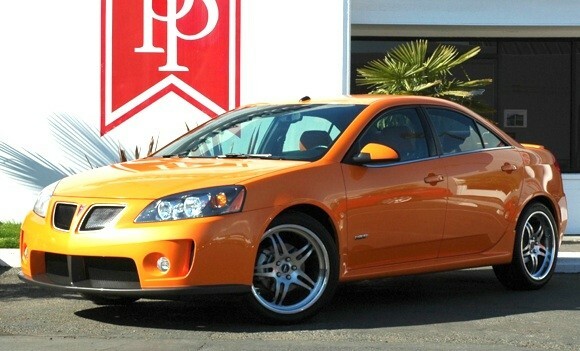 The show-quality orange hue is offset by the dark grey splitter up front and diffuser around back, and the engine and suspension were tweaked to show the Pontiac's performance potential. With GM forced to sell off its collection of past concept cars and Pontiac going the way of the Oldsmobile, both these low-mileage cars present unique opportunities for enthusiasts and collectors to get their hands on a piece of soon-to-be-history. Follow the links to view the auctions, which both end at 6pm Pacific time on May 3, or click on the thumbnails below to see the images in our high-res mega galleries. Props to Berto for the tip! eBay Finds of the Day: Pontiac Vibe GT-R and G6 GXP SEMA showcars originally appeared on Autoblog on Thu, 30 Apr 2009 18:01:00 EST. Please see our terms for use of feeds. In spite of Honda's $2.91 billion Q1 loss, the Japanese marque knows the investment show must go on, and it's reported to be finalizing a stake in Pioneer. The Japanese electronics maker is shutting down its home electronics division, which has been losing money for years, in order to focus on in-car electronics. After approaching Honda to inquire about a tie-up, Honda is looking to put several billion yen into the company for around a 5% stake (a billion yen is about $10 million U.S.). With in-car electronics a key component in the current automobile revolution, it could be very handy for Honda to have the inside track on developing proprietary systems with an electronics expert, especially if it can use that to maintain an advantage over other Pioneer-equipped OEMs. 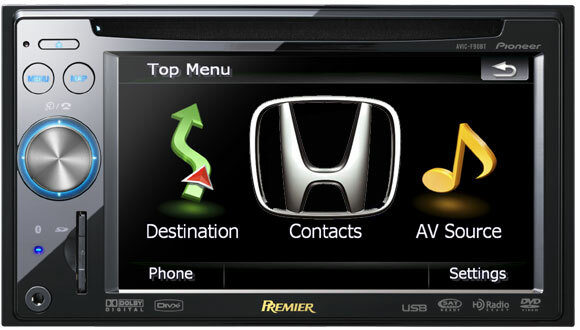 REPORT: Honda to invest in Pioneer electronics originally appeared on Autoblog on Thu, 30 Apr 2009 17:33:00 EST. Please see our terms for use of feeds. Catching a glimpse inside Ferrari's top-secret Fiorano test track in Maranello is a rare treat. Catching a developmental test mule for an upcoming supercar on video is another matter entirely. But as Ferrari prepares for the anticipated debut of the successor to its F430, the proverbial cat was bound to leap out of the bag. You'll find the full video after the jump, where you'll be able to discern a few key differences between this and the F430 it replaces. We won't speculate on the cosmetics, as those will all have changed by the time the veil is lifted in Frankfurt, but there are a few mechanical giveaways worth noting. The big air intakes protruding from the rear end, along with the larger exhaust pipes, should help the enlarged, direct-injection V8 eclipse even the 430 Scuderia's 520-horsepower output. A redline approaching 10,000 rpm should also help the cause, which could be managed by the California's seven-speed dual-clutch gearbox to replace the F1-style robotized manual. Follow the jump to watch the footage for yourself. 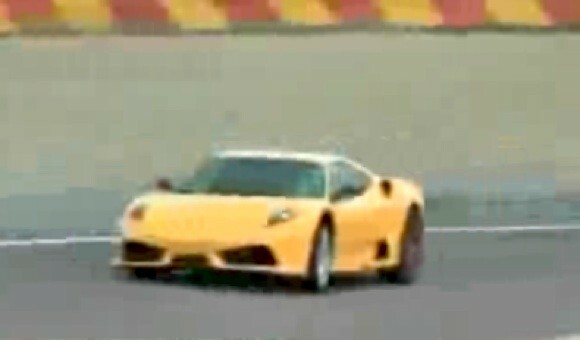 VIDEO: Ferrari F450 test mule caught in two-minute spy footage originally appeared on Autoblog on Thu, 30 Apr 2009 16:56:00 EST. Please see our terms for use of feeds. Pacified as we've been by the appearance of the 5.2-liter FSI V10 and LMS competition spec versions of the Audi R8, it's been a while since we've heard anything about the roadster version. But reports citing unnamed company insiders suggest that the ruthless roofless supercar is scheduled to hit the market by 2011. Since Ingolstadt opts to stick with soft-tops on its other convertible models, the R8 Spyder is expected to follow suit in order to save on space and added weight. Earlier reports suggested a partial convertible targa-style roof opening, but the drop-top flagship is likely to get a more conventional and complete solution. The big question mark remains over whether the convertible variant will be limited to the V8 powertrain or whether it will get the more potent 5.2-liter V10... we'd hope that if they can manage to pack it all in behind the buckets, a V10 roadster would prove a delectable alternative to the likes of the Aston Martin V8 Vantage Roadster and Ferrari California, to say nothing of the R8's own sister Lamborghini Gallardo LP560-4 Spyder. 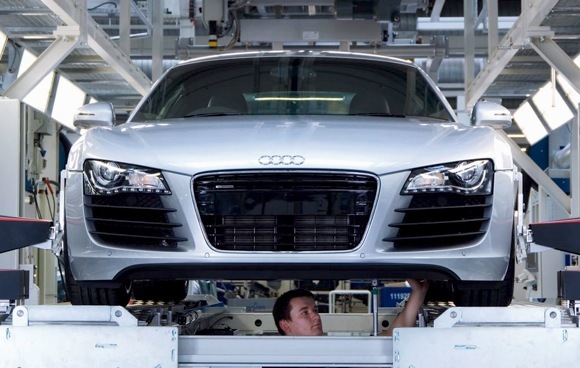 REPORT: Audi R8 Spyder coming in 2011 originally appeared on Autoblog on Thu, 30 Apr 2009 16:27:00 EST. Please see our terms for use of feeds. PSA Peugeot Citroën has announced plans to introduce a new diesel hybrid drivetrain that will conveniently do away with the need for a complex system of driveshafts and transaxles. The clever HYbrid4 system - sometimes referred to as a through-the-road hybrid - is contained inside a new rear axle assembly that incorporates an integrated electric motor. This arrangement will allow for any combination of front-, rear- or all-wheel drive, with power coming from the diesel engine alone, the electric motor alone or from the two powerplants combined. Due to its modular design, the technology can quickly spread across the automaker's entire line. The first model slated for the fuel-saving tech is the Peugeot 3008 crossover, prototypes of which are already in the testing phase. Next down the line will be the Citroën DS5. All told, the automaker expects to see a 35% reduction in CO2 emissions with an attendant improvement in fuel efficiency. 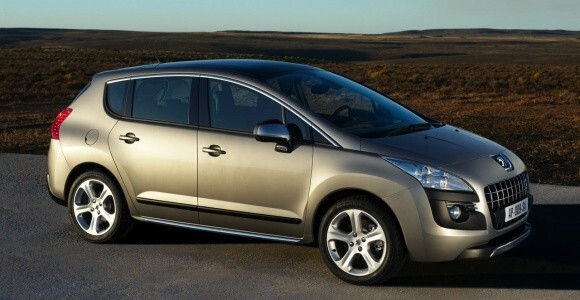 PSA Peugeot Citroën planning diesel hybrid for 2011 originally appeared on Autoblog on Thu, 30 Apr 2009 16:01:00 EST. Please see our terms for use of feeds.